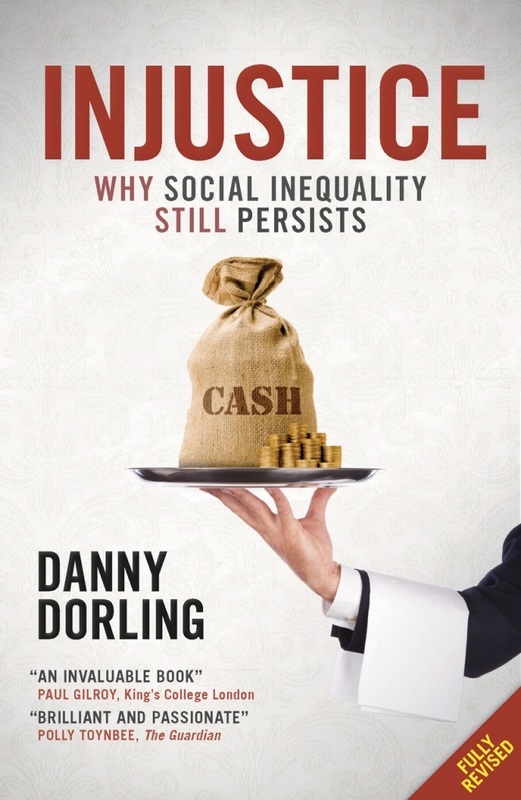 The revised edition of Danny Dorling’s book Injustice: Why Social Inequality Still Persists provides an analysis of contemporary issues and practices underpinning inequality and a concise interpretation of the main causes of the persistence of injustice in rich countries, together with possible solutions. Gaja Maestri finds that despite touching only marginally on broader scholarly debates, the book remains a critical contribution to the ongoing debate on growing social inequality. Moreover, the pragmatism of the book gives readers the feeling that we can start to do something from our very everyday practices, workplaces and neighbourhoods. Injustice: Why Social Inequality Still Persists. Danny Dorling. Policy Press. 2015. In the UK, at least a sixth of households are considered poor, a fifth of people find it difficult to cope with the recent economic crisis and a third of families contain at least one person experiencing mental health problems. These are just few of the statistics that reveal the magnitude of the phenomenon of social inequality, the topic of Injustice. In this revised version of the book (first published in 2009), Danny Dorling tackles one of the most important problems affecting rich countries, that of persisting social inequality. Dorling is a well established human geographer and cartographer who has written widely about health inequality and poverty. The 2015 edition of Injustice presents updated data, sadly showing how from 2009 inequality rates have further increased. For instance, despite the book ending on a hopeful note, throughout the chapters Dorling lingers on the binary divide between the poor and the rich, whereby the former appears as brain-washed and powerless, while the latter as ultimately characterised by greed and false consciousness. The book would surely benefit from a more nuanced analysis of compliance and resistance of lower and upper class members. Similarly, what could further strengthen the book would be a clarification of the relationship between politicians and bankers, political institutions and the market. It might appear obvious at first sight, but there is a long-standing and contested debate among Marxists about the relationship between political and economic elites, as well as different theories of the state that understand this relationship differently. Finally, Dorling states his own thesis about the fundamental role of beliefs without, however, discussing why he opts to put forward this explanation instead of alternative ones. For example, he does not mention resource mobilisation theory that could show that it is not the beliefs of the rich minority that account for their enduring dominant position, but the resources they can mobilise, whilst the majority of poor have no access to similar resources, regardless of their acceptance of these beliefs. Similarly, Dorling does not explain why he does not consider path-dependency theory, which underscores the importance of lock-in effects of practices that become enduring even though often beliefs change. Despite touching only marginally on broader scholarly debates, the book remains a critical contribution to the ongoing debate on growing social inequality. Moreover, the pragmatism of the book, without advocating any grand interpretative theory, also constitutes its cogency: it gives us the feeling that we can start to do something from our very everyday practices, workplaces and neighbourhoods. The solution can already be right here, right now, since, as he reminds us, the world is constantly “metamorphosing”. Gaja Maestri is a PhD Candidate in Human Geography at Durham University (UK). Her current research is funded by the UK Economic and Social Research Council and focuses on the persistence of residential segregation, on public policies and on collective action in Italy and France, mainly with regard to the Roma and Travellers. She holds a MSc in Political Sociology at the LSE and a BA and MA in Sociology at the University of Trento (Italy). She has been involved in associations for social integration and has worked in London for think tanks, including The Runnymede Trust and Demos.